The first battle of the Civil War aka The Battle between the States was re-enacted in Manassas Virginia at Bull Run Creek on 23rd of July 2011 with over 10,000 participants. All photographs are the property of Michael J. Minardi and are copyrighted Minardi 2011. 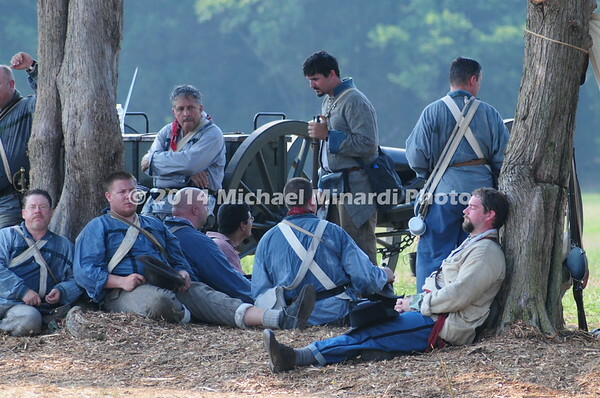 Confederates in grey uniforms resting after First Battle of Bull Run . The 150th anniversary of the Battle of Bull Run in Manassas, Virginia.